Dri-Prime pumps are being used as backup systems in 30 lift stations in a southern U.S. city. In the last eight years, the city has undergone massive growth. Its lift stations were experiencing various problems that caused spills which resulted in heavy fines imposed on the city. A study completed by the city indicated that most of the problems were mechanical related. To help find a solution, the city engineer reviewed the results of the study with a local Godwin Pumps distributor. 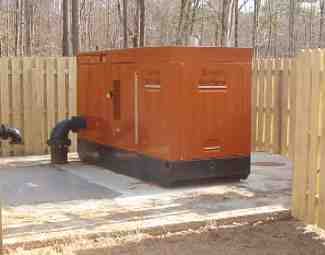 Ultimately, the engineer decided to use a Dri-Prime pump as a standby instead of a generator to overcome his problems. A standby system comprised of a permanently installed diesel Dri-Prime pump and a control panel will help avoid common lift station problems including switch gear, sewage pump failures, and primary power. The main benefits include the availability of a back-up pump at the station and the elimination of expensive transfer switch gear and generator maintenance.